Tony Lathrop is a seasoned corporate trial lawyer who partners closely with his clients to handle trials, litigation and disputes in ways that maximize value for their businesses. He uses his experience as a trial attorney and certified mediator to develop strategies for obtaining optimal trial results or other resolutions in high-stakes cases and to advise his clients regarding strategies to reduce future risk. A purported class action involving breach of contract and other claims against a client cemetery. A breach of a contract claim (sale of a $40 million manufacturing facility), representing a plaintiff Fortune 500 corporation. A federal theft of trade secret case in which he obtained preliminary and permanent injunctions for a manufacturer. A trademark infringement and breach of contract action involving competing cable television networks. An insurance contract dispute regarding retroactive workers’ compensation insurance premiums. A coverage dispute over provisions of a contingent automobile liability insurance policy in connection with the vehicle leasing program of a Fortune 500 company. Approximately 20 municipal eminent domain actions, representing the condemnor. A police liability claim in Federal court in which summary judgment for defendants was affirmed by the Fourth Circuit. Vehicle and device products liability claims, defending international manufacturers of vehicles, aircraft, and medical devices. 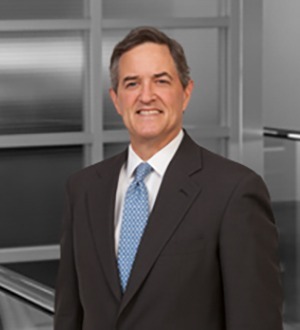 As a recognized leader within the legal community of North Carolina and nationwide, Mr. Lathrop has developed relationships and credibility that add value for the firm’s clients. He currently serves as the Immediate Past Chair of The Network of Trial Law Firms, which is an organization of 7,000 attorneys in 25 separate and independent trial law firms practicing in over 140 offices throughout the United States and Canada. In his nearly thirty years of service to the North Carolina legal community, Mr. Lathrop also has served as the President of the Mecklenburg County Bar (2006-2007), the Chair of the Merit Selection Panels for two U.S. Magistrate Judges in North Carolina's Western District (2003-2004), a member of the Advisory Committee on Local Patent Rules for the U.S. District Court for the Western District of North Carolina (2010), an Aide to Governor James B. Hunt, Jr. (1983-1985), and an appointed member of Governor Hunt’s Crime Commission (1982-1985). He currently serves on the Charlotte Mecklenburg Planning Commission.